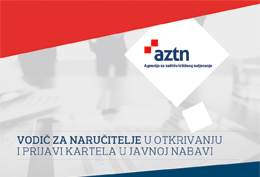 On 1 June 2018 the Croatian Competition Agency (CCA) received an anonymous complaint regarding the alleged anti-competitive practices of Zagrebačka pivovara in the sense of abuse of the dominant position in the market, including the allegedly unfair trading provisions contained in the business agreements with its retailers that constitute entry barriers for the competing undertakings and hamper their positioning in the market. Following the above-mentioned allegations, the CCA requested from Zagrebačka pivovara a detailed statement about the matter concerned and the relevant documentation that regulates the business deals between Zagrebačka pivovara and its ten biggest buyers – retailers in Croatia. The CCA analysed the provisions under the sales agreements delivered by Zagrebačka pivovara, in particular regarding the data involving the terms of sale such as the slotting or placement fees, point of sale register fees and the data on agreed shares in shelf displays. The documentation delivered by the undertaking concerned was investigated from two legal aspects: from the point of view of the Competition Act and the Act on the prohibition of unfair trading practices in the business-to-business food supply chain (UTPs Act). In the part relating to unfair trading practices the CCA found that the contracts that Zagrebačka pivovara as a supplier concluded with its buyers (retailers) did not contain any placement provisions that would impose on the retailer an obligation regarding the placement of the beer supplier’s own coolers, as it was stated in the complaint. The contracts merely opened the possibility for Zagebačka pivovara to explicitly ask in writing for the placement of its product on a particular shelf (common and extraordinary positions, coolers of Zagrebačka pivovara) or to ask for the point of sale data about the products that had been sold by the retailer, which complies with the provisions of the UTPs Act. Such requirements may be approved or denied by the retailer, whereas the fee for such services had been defined in the contracts between Zagrebačka pivovara and the particular retailers. In other words, given the fact that the UTPs Act provides for the possibility that a retailer, following a written explicit request of the supplier, may provide placement services and give data on the sales of products concerned at the point of sale, and taking into account that these clauses have been agreed in written contracts between Zagrebačka pivovara and the retailer, the fee charged for these services does not constitute an unfair trading practice within the meaning of the UTPs Act. The investigation also showed that no contract concerned contained a clause that would regulate the non-payment of the fee for real and measurable services by Zagrebačka pivovara to a retailer within the meaning of the UTPs Act nor was it established that the fee for real and measurable services would be made conditional on first priority placing of the undertaking’s own coolers in the shops where the available space permits only one cooler of a kind, as stated by the complainant. It must be noted here that in the contractual relations concerned Zagrebačka pivovara is a supplier to the retailers. Given the fact that the UTPs Act prohibits the abuse of the superior bargaining position of the buyer and/or processor or trader in the relationship with their suppliers by imposing unfair trading practices, it means that the unfair trading practices may be imposed exclusively by the traders, buyers or processors on their suppliers, and not vice versa. With that said, only the superior bargaining position of the trader, buyer or processor can be observed and established, and not of the supplier. Taking into consideration that Zagrebačka pivovara in this concrete business deal with a particular retailer takes the role of the supplier, it is not possible to conduct an administrative procedure against it within the meaning of the UTPs Act. On the other hand, within the meaning of the Competition Act, as regards the shelf space placement, if a significant part or a whole shelf has been taken by one firm, it may hinder the actual access to the retail outlets and the products of the competitors and they may remain unavailable to final consumers. This is particularly is the case where the display space is limited. In that sense the CCA investigated the possibility of Zagrebačka pivovara as an undertaking that holds a dominant position in the market to abuse its dominance with regard to the reservation or renting of the shelf space (shelves, stalls, coolers etc.) in line with Article 13 of the Competition Act. The CCA referred to the EU practice and found that the undertaking holding a dominant position in the relevant market when renting the shelf space that is of limited capacity must leave at least 20 per cent of the shelf free for the retailer to decide how to use it, or, it may reserve the shelf space but the share of this display area cannot exceed its market share in the sales of the relevant products at the national level. The agreements between Zagrebačka pivovara and four of its buyers indicated that arrangements had been made regarding the placement of the products of Zagrebačka pivovara whereas the reservation of the positioning in shelf space was lower than the market share of Zagrebačka pivovara in the sales of beer. The images of the coolers in particular shops that have been delivered to the CCA showed that beside the products made by Zagrebačka pivovara those coolers contained also the products of other beer, energy drinks, other non-alcoholic beverages and water producers. At the same time, the agreements did not contain any clauses that would in any way limit the positioning of products of the competitors in the coolers of Zagrebačka pivovara or restrict the content of those coolers to exclusively its own products. Thus, for the above stated reasons, the CCA decided that there had been no circumstantial evidence for the opening of an ex-officio proceeding against Zagrebačka pivovara neither under the provisions of the UTPs Act nor the Competition Act.